If you’ve ever had a dog with an ear infection, you know what they look like: dogs with ear infections shake their heads and flinch or cry when you try to touch their ears; they generally become red, inflamed, and emit a very unpleasant smell. It’s not difficult to imagine how uncomfortable a dog finds an infected ear — and he can’t tell you about it. However, you can prevent these common infections. Part of keeping your dog healthy is keeping his or her ears clean. 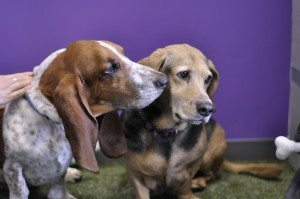 We don’t think about it, but we should be monitoring and maintaining the ears throughout the dog’s life, which not only prevents ear infections, but also a variety of ailments that can affect a dog’s ear. 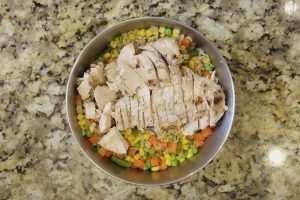 Dog anatomy is a bit different from our own, and it’s very easy for a dog to get an ear infection. 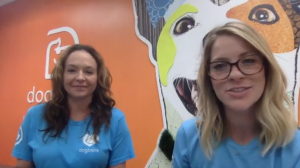 If your dog has allergies she may be particularly vulnerable to ear infections. 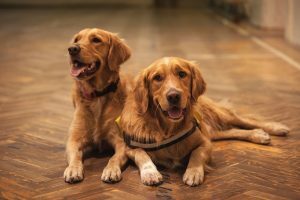 If your dog is a cocker spaniel, a setter, a golden retriever, or any other dog with ears that flop down (see below-left), she’s also more prone. 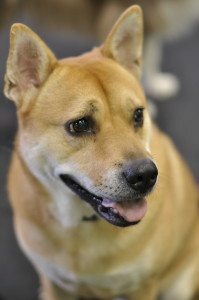 Dogs with upright, or prick, ears (see below-right) are far less prone to ear infections. 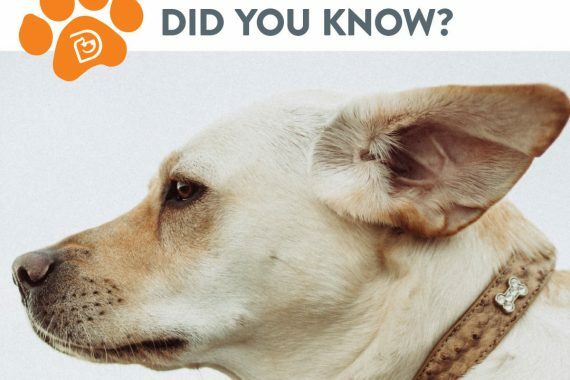 This is because many ear infections are caused by water, dirt, and earwax becoming trapped within the ear; dogs with drop ears have little, if any, air circulation to help keep the ear dry and clean. Fortunately, you can stop ear infections with regular ear checks that are part of a regular grooming routine. Check your dog’s ears at least once a week. If you become familiar with how healthy ears look then you will be able to quickly notice an infection or irritation. 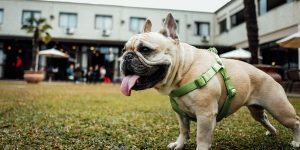 At the very least, you can clean the inner ear with a cotton ball dampened with mineral oil, hydrogen peroxide, or one of the ear cleaners you can buy in a pet store. You must be careful not to put anything else into the dog’s ear canal, like a Q-Tip, no matter how tempting that may be. It could cause the dog real problems. floppy ear. But too much care is just as dangerous as too little, and plucking ear hair where it is not needed, or plucking too often, can also cause infection or irritation to the ear. Water dogs who like to swim a lot can get ear infections from simply getting their ears wet too often. If you let your dog swim, be sure to dry her ears and give them a good cleaning after he finishes. If you have a retriever or any other dog that gets a lot of ear infections (and many do), there are also ear drying solutions that help dry out any water that may have been trapped in the ear canals. 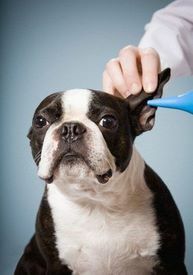 ears, we have a spa package that includes ear cleaning and if your dog is here for daycare, feel free to request an ear cleaning during their next play day with us.